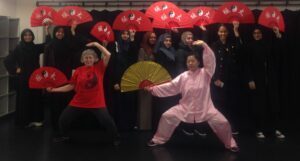 Dao Lu has been asked to deliver two Tai Chi workshops for 40+ Muslim teen girls at an annual summer camp hosted by Rabata UK in the beautiful village of Markfield in Leicestershire. Rabata is an organisation promotes positive cultural change through creative educational experiences. We are looking forward to introducing Tai Chi to their Muslim teen participants!